The FGID2466Q 24-inch Frigidaire Gallery built-in dishwasher offers excellent cleaning performance. With OrbitClean technology, it provides four times more water coverage for a superior clean. The Aqua Surge technology adjusts water pressure based on washing needs and adds the SaharaDry feature for a one time wash, one time dry experience. This Danby<sup></sup> eight-place setting dishwasher is a convenient and efficient addition to any home. At 18 inches wide this model takes up minimum space, and the built-in castors allow it to be easily moved. Boasting a low-water consumption feature, this model is eco-friendly. Suitable for more than just condos and apartments,this model even offers a built-in soft water system for remote cottage locations. Gallery 24-inch Built-In Dishwasher with Plastic Tub in White - ENERGY STAR® The FGID2466Q 24-inch Frigidaire Gallery built-in dishwasher offers excellent cleaning performance. With OrbitClean technology, it provides four times more water coverage for a superior clean. The Aqua Surge technology adjusts water pressure based on washing needs and adds the SaharaDry feature for a one time wash, one time dry experience. 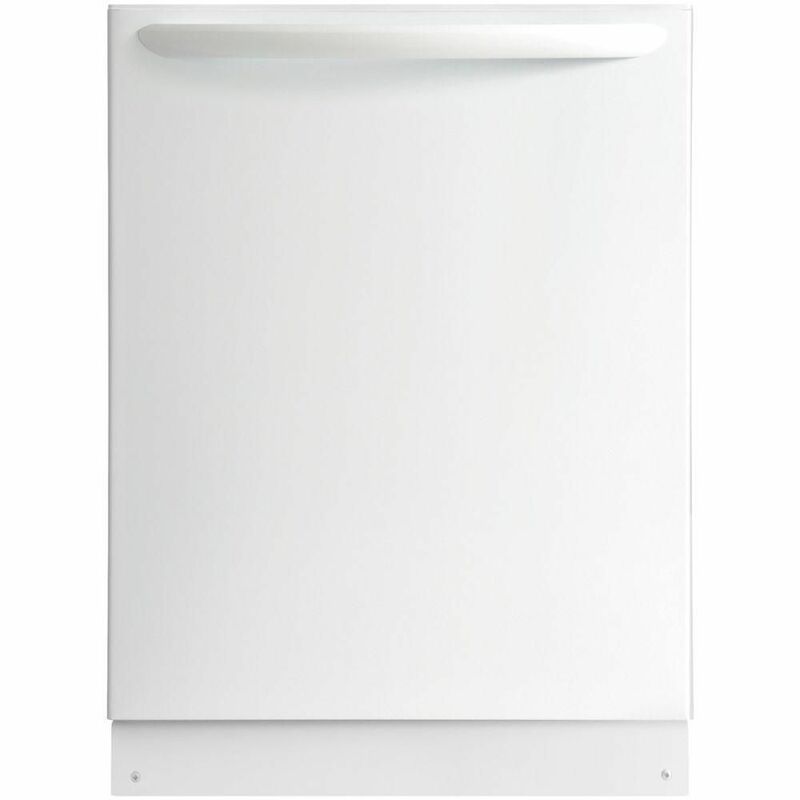 Gallery 24-inch Built-In Dishwasher with Plastic Tub in White - ENERGY STAR® is rated 4.3 out of 5 by 36. Rated 4 out of 5 by Steve from The unit has a flimsy feel. The door is lightweight... The unit has a flimsy feel. The door is lightweight plastic. We shall see how long it lasts. Rated 4 out of 5 by HomeDepotCustomer from The delay setting can be difficult to set. The inside... The delay setting can be difficult to set. The inside is definitely smaller than our old dishwasher. Still a quality unit though. Rated 5 out of 5 by JR from Easy to install. First time I’ve ever installed a dishwasher... Easy to install. First time I’ve ever installed a dishwasher - no problems - took about 90 minutes. It works like a charm. Do opt for the top-control dishwashers, they look so much more modern. Rated 5 out of 5 by Laura from After using this dishwasher for a month, I am very... After using this dishwasher for a month, I am very happy with it. Clean well, drys well, and is very quiet.